For when you want a nice dessert but don’t have any fancy ingredients for nice desserts, these little dumplings, believe it or not, are utterly decadent, especially with cream. 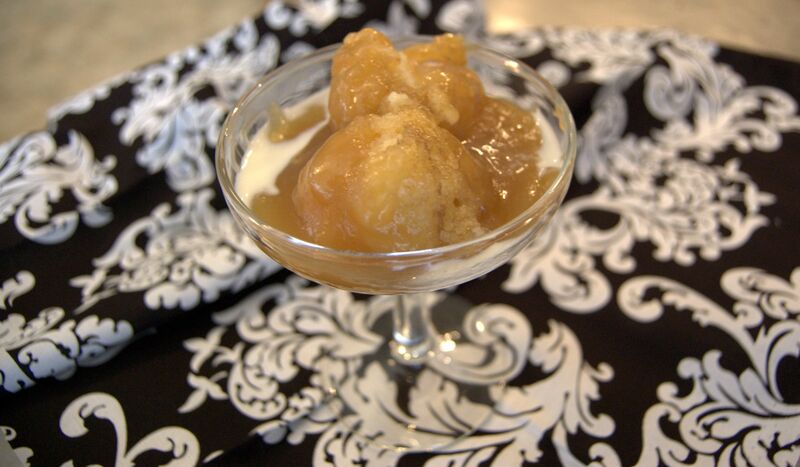 Serve in dessert dishes with cream pitcher on the side. For Sauce: Combine butter, sugars, water and salt in saucepan. Bring to a boil, simmer for five minutes. While sauce is simmering, make dumplings. For Dumplings: Combine dumpling ingredients and mix well. 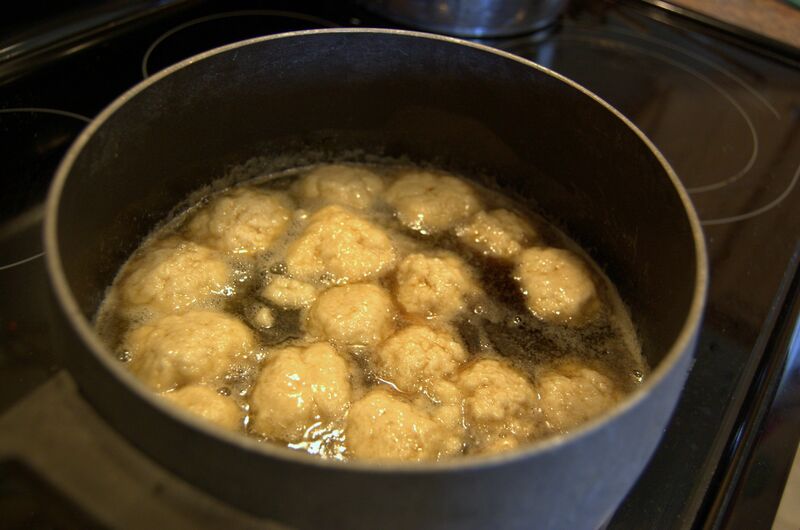 Form into about 16 small balls and drop into simmering sauce. Cover and cook for twenty minutes without lifting lid. Serve warm with cream. Serves 8.